This is a must listen video (see below pictures) if you want to know truth of what is taking place in California and across our Country. Many people have no idea how far TPTB (the powers that be) have gone with technology and its capability. 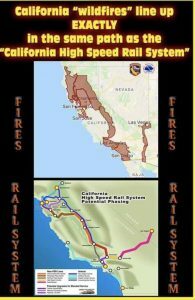 It appears the CA wildfire lines up in the same path as the plans for the CA High Speed Rail System that Diane Feinstein’s husband, Richard Blume just happens to hold the CONTRACT to build. 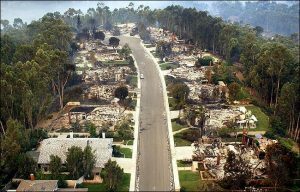 The second picture shows how ‘fire’ devastated and leveled a complete suburb but yet the trees are untouched, how does that happen? 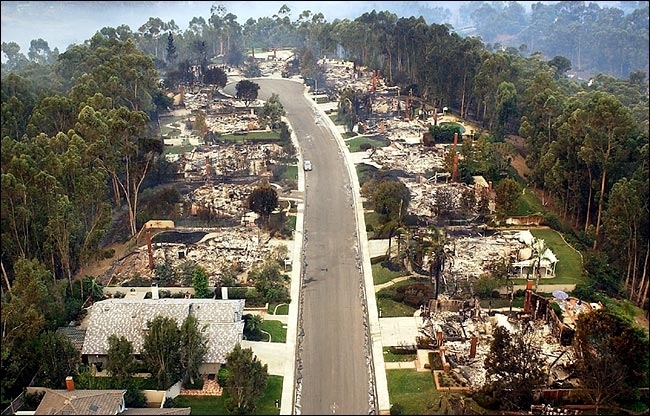 This entry was posted in AGENDA 21, ALERTS, CORRUPTION, DEEP STATE CRIMES, EDUCATION, GEOENGINEERING, NEWS, RESOURCES, VIDEO by Republic for Michigan. Bookmark the permalink.